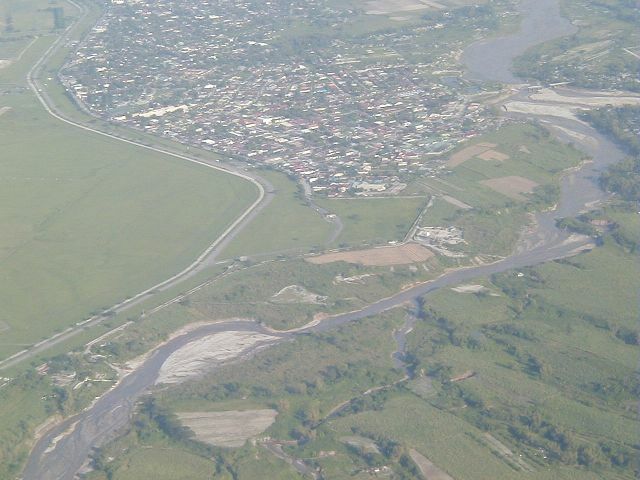 Looking eastward at the westernmost fringes of Angeles City, with the airfield at the left and Mitchell Highway (now Manuel Roxas Ave) leading off into the distance. The new new Friendship 2 gate can be seen in the exact center of the photo. 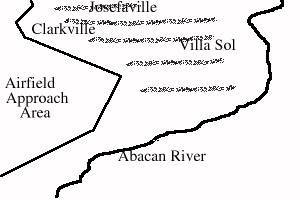 To the right is the Abacan River, which divides Angeles City. Want to correct or clarify information about this photo? Send an E-mail to clarkairbase@clarkab.org. Mention you are referring to page "a09.htm".